Grandesign shed some light on the Asics brand at the 30th annual L.A. Marathon. We started by installing massive spotlights at each mile marker of the 26.2 mile course. These lights towered over the tallest skyscrapers, and were visible from Long Beach to Santa Monica; Dodgers Stadium to Malibu. This installation had social media buzzing. Users shared pictures of the lights with their friends and followers using #LightsOnLA, resulting in 3.9 million impressions on social media alone. 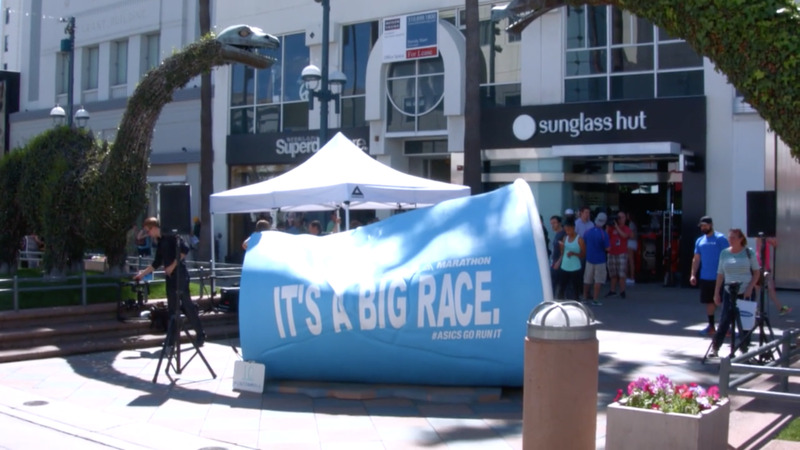 Now factor in the dance competition surrounding a giant Asics branded cup, and a party in Hollywood Hills to kick off the light show, and you have one epic campaign that is sure to leave lasting impressions.